Well it’s day one of my 3 day transit by plane to Japan (haha yess, I cheaped out on tickets by adding 2 more days and stop in India!) 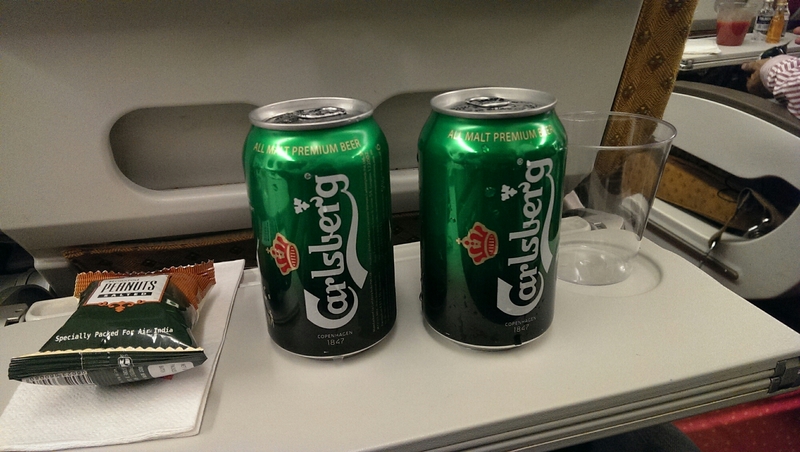 and steward comes around to offer complimentary drinks which already made my happy. Then hearing him say “but sir would you prefer two beers?” Well what could be better, yes please! I wish he offered me a third just so I offer it back to him for being such a great guy.